Macro had became one of my favorite pass time, it feels groovy exploring, discovering bugs in Urban Jungle! Jungle trekking has always been a passion during the years of my high school, and now I can jungle trekking + photographing (FAITH +1)! After the Dengue Fever, I had never felt such intimidated by mosquitoes! It was troops of mosquitoes buzzing, stinging ignoring the functioning Mosquitoes Repellent. It was awful! 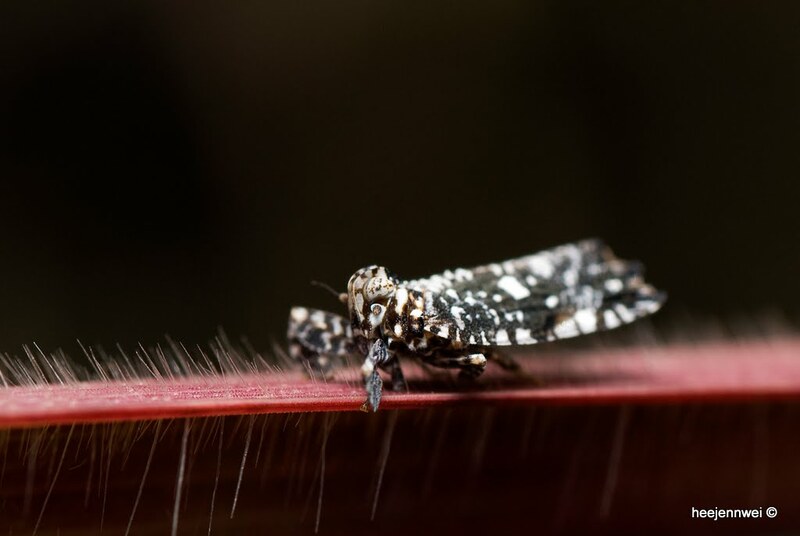 Upon trekking, i found this little nasty pest! What they do? 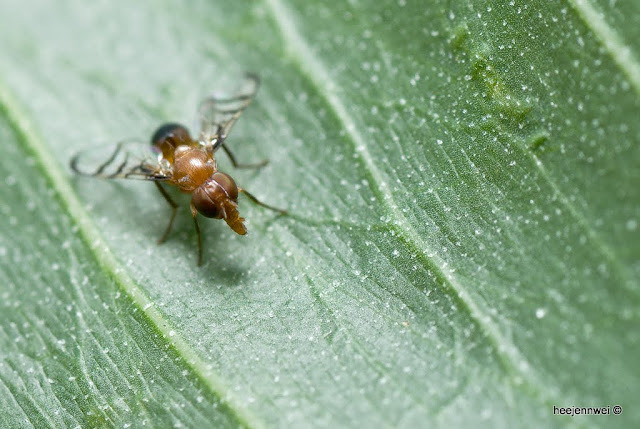 Extremely good at laying eggs at unripe or ripening fruit, where larvae hatch and feed on fruit pulp, infesting fruit fails to ripe and spoils really fast! Eating that fruit, make your tummy ache. Whopper Katydid! it's a really huge Katydid. 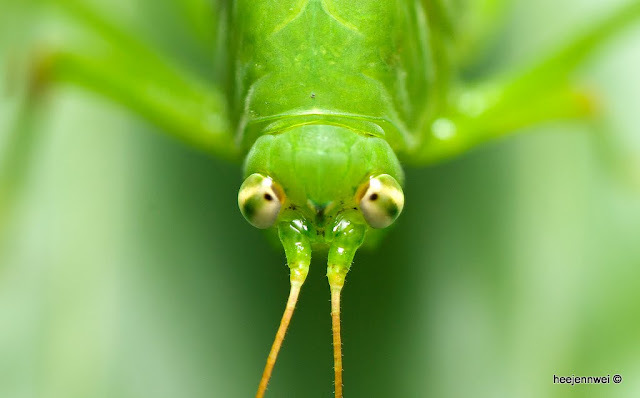 Katydid and grasshopper are differ in much ways, Katydid has longer antennae, auditory organs of Katydid are at its' forelegs while grasshopper on its' abdomen. "If it's green, it's probably a Katydid!" it's a saying. 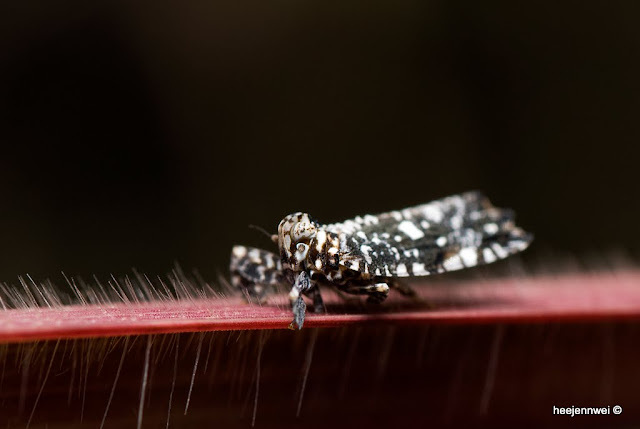 Planthopper is always such a fascinating bug to shoot at, it's such mysterious. As if it was from another planet. 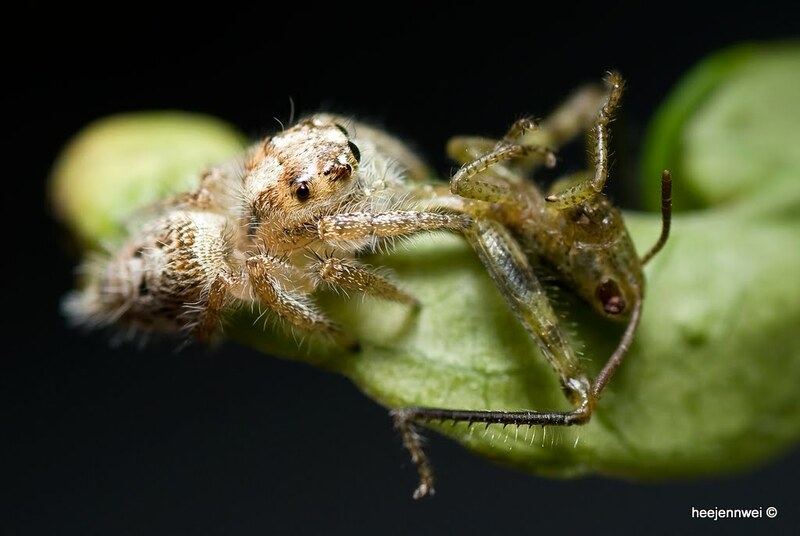 Well, from the name itself, it's consider a pest as it feed on plant, also often vectors of plant diseases. From the look of it, this should be a Soldier Beetle. 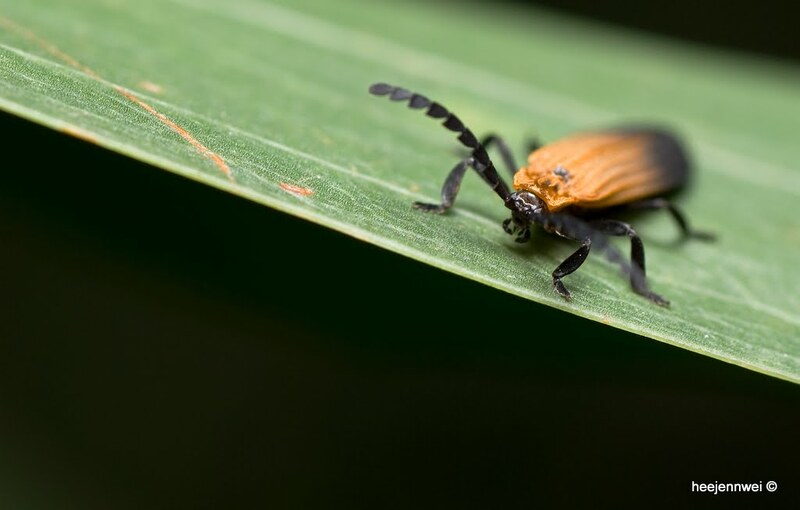 Soldier Beetle is predacious and feed on other insects. It preys on caterpillars, aphids. 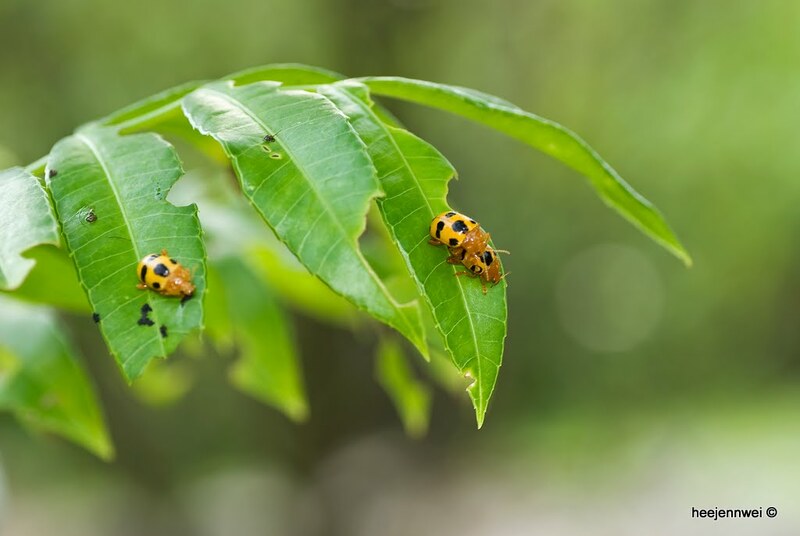 They are beneficial and harmless insect, like a soldier guarding the plants. 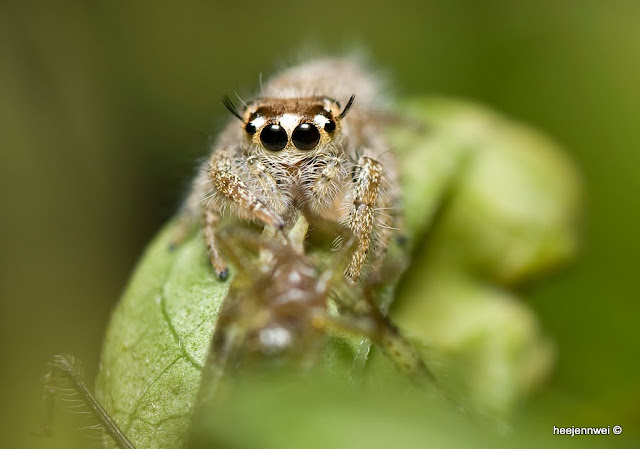 Jumping Spider lives all around us. Look! That's a spider crawling on the wall! 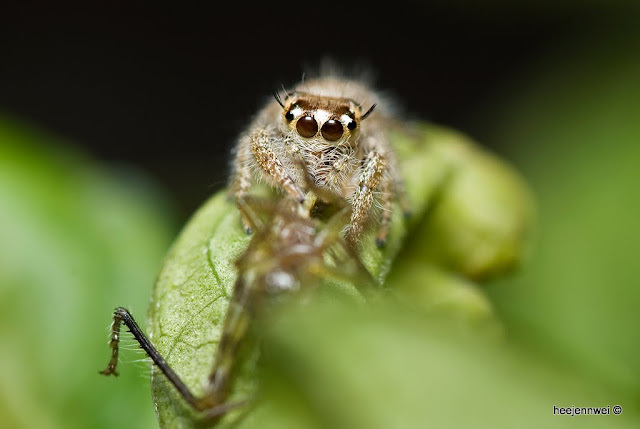 If it has really big eyes most likely it's a Jumper! all Jumpers have 8 eyes, and 2 of those seem enormous for such little body. Also, they can leap 10 to 40 times of its' body length! If you notice the difference in the eyes' color, it's probably staring at you for disturbing! and this little fellow caught a little grasshopper! While i was busying violating the garden, I look back as though a voice was summoning my name. Gosh! it's the Tree of a Thousand Beetles!!! They are beautiful!!! Look at the color! It's a second topper after the Tree of a Thousand Giraffe Weevils! Probably 18sx. 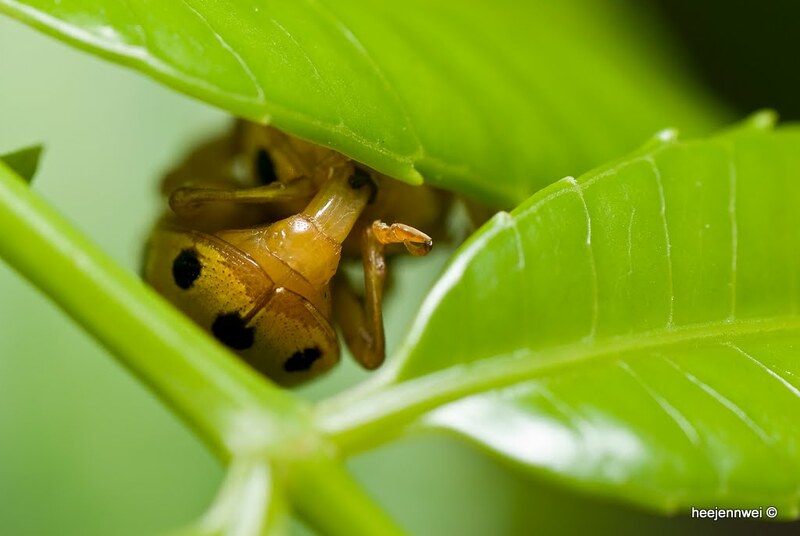 The Beetle's reproductive organ. I'm Just Flying a Kite. Really! 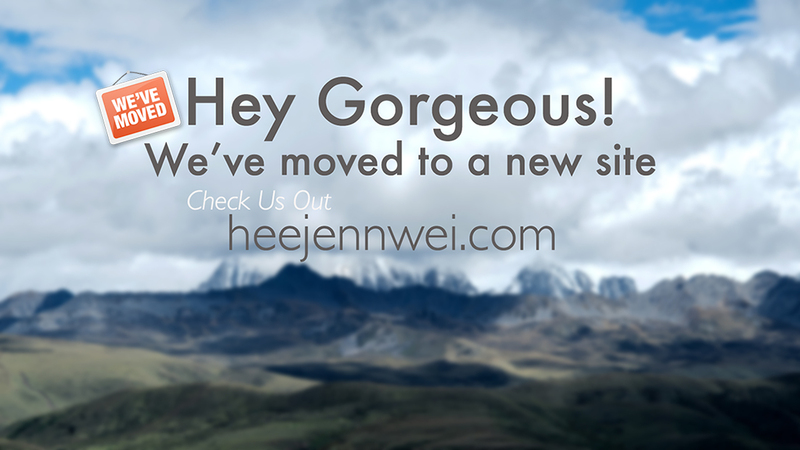 Into the Wild Green yonder with Photo-Cycling!